The first thing that comes to mind when someone mentions martial arts is Bruce Lee, arguably the greatest expert in the craft that ever lived. Also, he was a legendary movie star who died young, but there are still many who are committed to his legacy. If you wish to rekindle with your hero Bruce Lee, you ought to try the WMS Bruce Lee slot inspired by the iconic martial arts master. His charismatic personality and skills brought him the fame that outlives him. 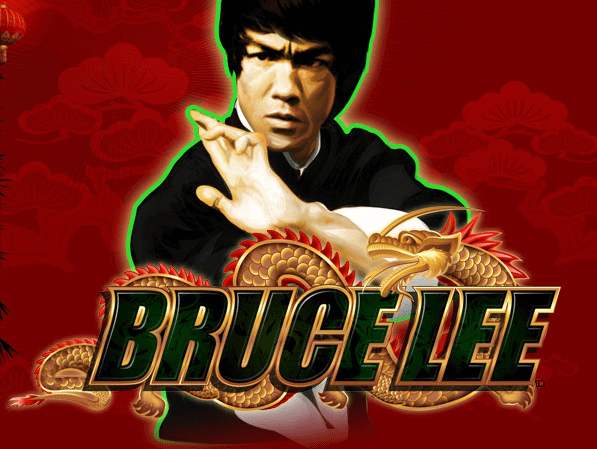 The blood-pumping Bruce Lee slot will bring you great wins – only if you spin those reels as fast as Bruce threw punches! Bruce Lee is known as a martial artist, a film star and a philosopher, whose words of wisdom still circle around despite his untimely death. Staying true to his origins, WMS Gaming added some authentic Chinese music to the game and complemented it with his recognisable fight sounds. Since the actor was in his prime in the late 1960’s, it’s understandable that the developer went with a slightly retro feel when it comes to the slot’s appearance. The background is fiery red with a Chinese dragon outline. There are 5 reels, but the structure is a bit unusual since there are 2 symbols on reels 1 and 2, and then 4 symbols on reels 3, 4 and 5. Winning combinations are formed along 60 paying lines which are fixed and the WMS trademark bet slider allows you to set your bet size before each spin. The symbols all relate to the theme; they show a knife, a shuriken, nunchucks, sai daggers, a vase, a scroll, traditional Chinese coins, a golden hat and a dragon. There is also a symbol of Bruce doing his kick move and a slot logo symbol. A Bruce Lee portrait symbol is the Wild and the chest is a special Feature symbol. The main feature of the Bruce Lee slot is the Free Spins round, and the great thing about it is that you can trigger it in three different ways. Landing three Feature chests on reels 3, 4 or 5 and you’ll get 5 free spins with a Wild on each reel. The other way to do it is to land four matched symbols on reels 1 and 2. The Wilds can substitute for other base game symbols if you fail to land identical four symbols, and there is also the possibility of re-triggering the free spins with three chests. A pumped-up version of the free spins round happens when you land four matching symbols on the first two reels and three chests on the other three reels on the right. This will award you with 20 free spins with guaranteed Wilds on each spin, and if you stack them up one spin at a time you can achieve some great wins. The Bruce Lee slot comes with an RTP of 96.05%. It doesn’t feature too many bonus rounds, but the free spins are interesting and lucrative enough as they aren’t triggered the usual way and they are boosted with Bruce Lee Wilds whenever necessary.